Rachel loves the opportunities massage therapy provides her to work with clients to produce visible results - whether its allowing them to move freer, run faster, reduce pain or just seeing a look of total relaxation as they leave the clinic. She switched careers after nearly 16 years in a variety of marketing roles - and has relished every moment! She set up Bodyworks Massage Therapy in 2009, and since then it's grown from just her to six therapists. Rachel holds a Diploma of Massage Therapy and a Certificate in Advanced Sports Massage from the Canterbury College of Natural Medicine. She is also a Level 6 Registered Massage Therapist (RMT) with Massage New Zealand, the professional association for massage therapists. As a RMT, Rachel must undertake ongoing professional training, teaching and/or research. She is also studying towards a Master's in Health Sciences with the University of Otago, specialising in Pain and Pain Management. This study is providing her with new understanding of pain, particularly chronic pain, and how massage can assist with reducing it. She can also provide coaching and education to help people living with chronic/persistent pain, understand their pain and discover ways to live a better life with it. 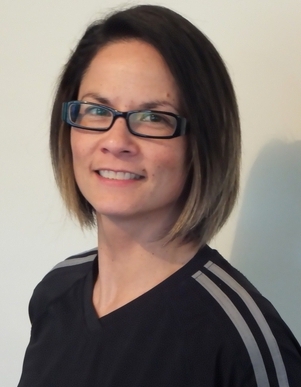 Rachel is also a qualified Personal Trainer, with Certificate in Fitness and Personal Training from NZIHF. This enables her to prescribe appropriate exercise to clients for strength and rehabilitation. 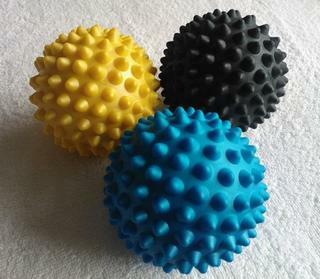 She is able to develop specific programmes for clients wishing to use her PT skills to increase their strength and fitness outside the massage clinic. Rachel has worked with people who take part in a variety of activity levels - from those recovering from minor injuries to major surgery, daily walkers or joggers, recreational or competitive road cyclists, mountain bikers, runners and multisport athletes, martial artists, netball, rugby or other team sports players, through to professional sportspeople. Oncology Massage to provide specific, safe and gentle massage to people currently receiving oncology treatment, or who have in the past. Rachel also has training and experience in pregnancy massage, massage for the elderly and infant massage. When she's not in the massage clinic you'll find her at the gym lifting heavy weights, on her snowboard up the mountain, at the beach, watching club rugby at local sportsgrounds or supporting the Crusaders and Canterbury rugby teams at the stadium, or at home watching action movies or hanging out with her greyhound, the clinic dog, Lucy! Book now for your massage session with Rachel.